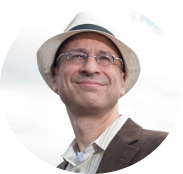 Jonathan Feldman is an award winning CIO, speaker, and writer. He is often quoted in the media about IT innovation, was named a top CIO to follow by the Huffington Post, and honored with a Frost & Sullivan CIO Impact Award. Jonathan is an pioneer in cloud computing, digital business transformation, and high performance IT leadership. His column with InformationWeek magazine, which won an American Society of Business Publication Editors award, started many industry conversations about how IT can better serve business. Jonathan speaks all over the world about IT innovation, and tweets about business technology leadership at @_jfeldman.